Let's Growth Hack Your Business! I grew three startups from no marketing budgets, to multi-million dollar exits. Andrew Lee Miller, AKA AndrewStartups is a veteran startup growth consultant, lecturer, writer and strategist that assists early-stage startups around the world with launching and scaling their marketing initiatives. 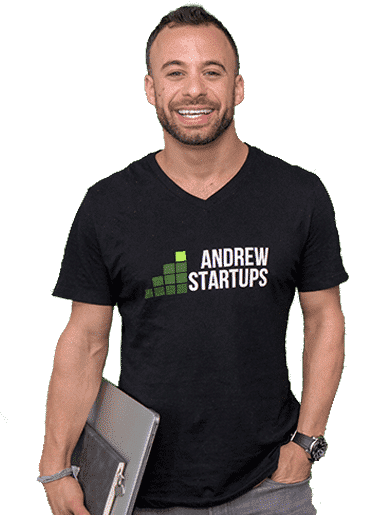 Andrew has more than a decade of experience and has driven 3 multi-million dollars exits as Head of Growth and prides himself on being a one-stop-shop for strategy and execution. Andrew’s unique approach to growth has won him awards, and seen him speak at events around the world. He works as a full-time consultant for funded startups, but also has exclusive Interactive Online Courses and affordable hourly strategy sessions for bootstrapped startups as well, so if you need growth for your startup, you’re in the right place! Andrew has trained startup teams via online courses, at accredited universities and in-house. HHire Andrew directly and get over a dozen years of experience working on over 100 startup projects. Hire Andrew directly and get over a dozen years of experience working on over 100 startup projects. Hire Andrew to strategize, build and scale your paid ad campaigns. Book a call today to pick Andrew’s brain and get some solid advice. Tinder and Match Group needed a top-tier startup marketer to launch their newest app (Crown) in Los Angeles, they chose AndrewStartups. Download the case study to see what we accomplished together. Can’t afford to work directly with Andrew? Check out Bootstrapped! our online course. Have an event/venue you want to Andrew to teach/speak at? Got a Marketing Team you want Andrew to train? Let’s do it! Get My Best Marketing Hacks In Your Inbox! © AndrewStartups. All Rights Reserved.